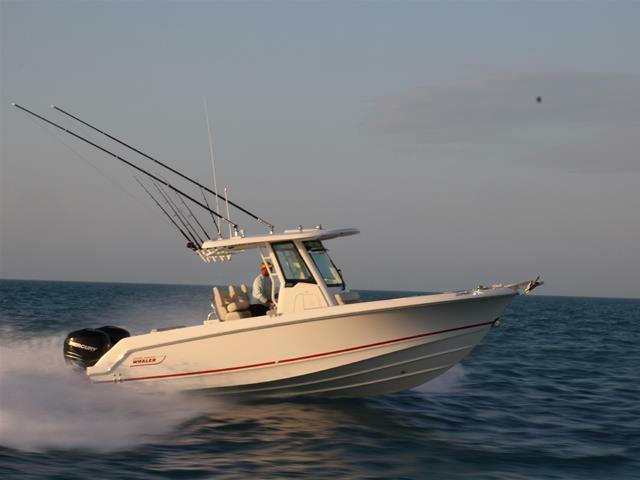 The all-new 250 Outrage® is the serious offshore fishing platform that rises to any pleasure-cruising occasion. 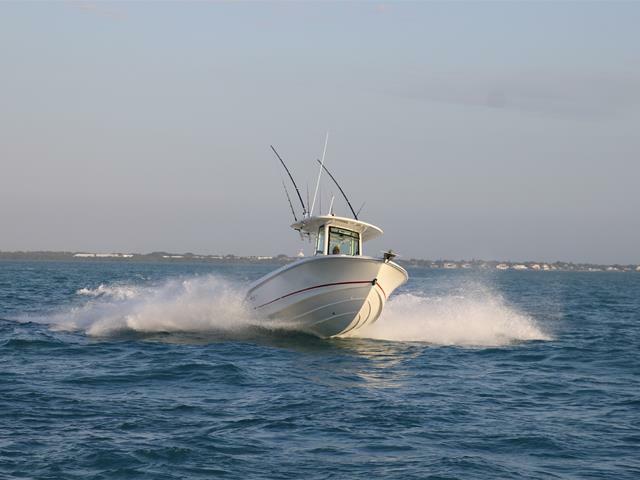 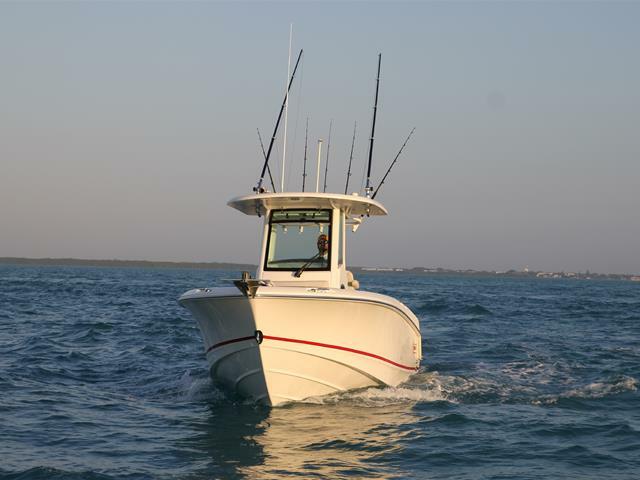 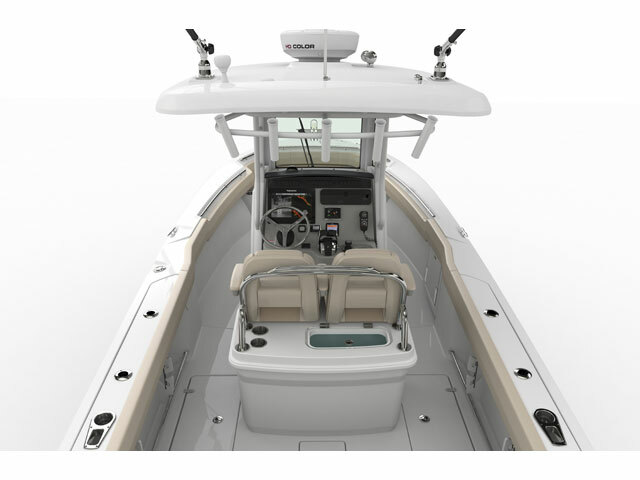 Easy to operate, easy to maintain and easy to love, the 250 Outrage features Whaler’s unique variable-deadrise V-hull for a remarkably soft, safe, dry ride. 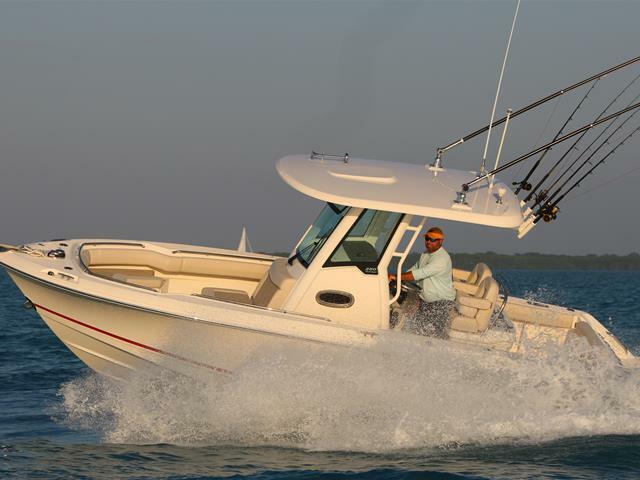 Available Mercury® power options, including the impressive new 350-hp Verado® FourStroke, deliver reliable and efficient performance on any adventure. 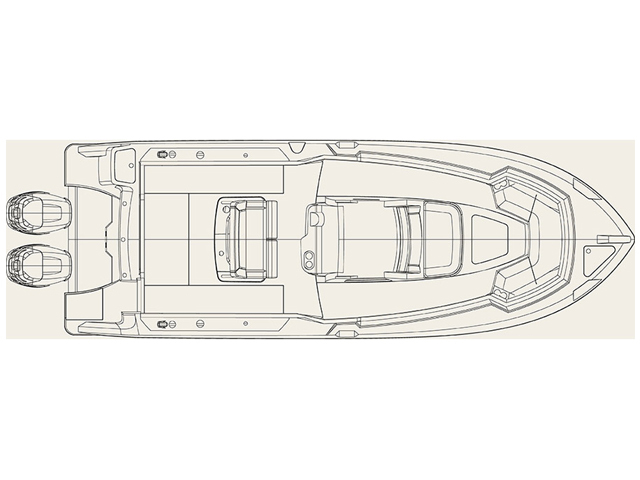 The deluxe leaning post includes a 30-gallon pressurized livewell, a bait-prep area, rod holders, a freshwater sink and tackle storage. 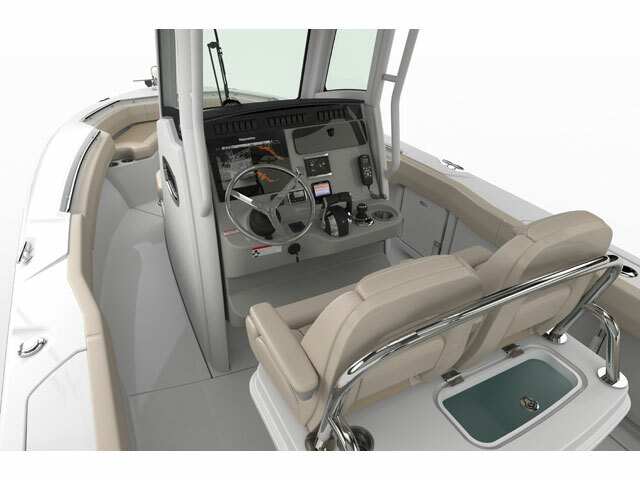 Enjoy comfortable, functional seating throughout, plus a convenient enclosed head in the console and optional bow and aft sunshades. 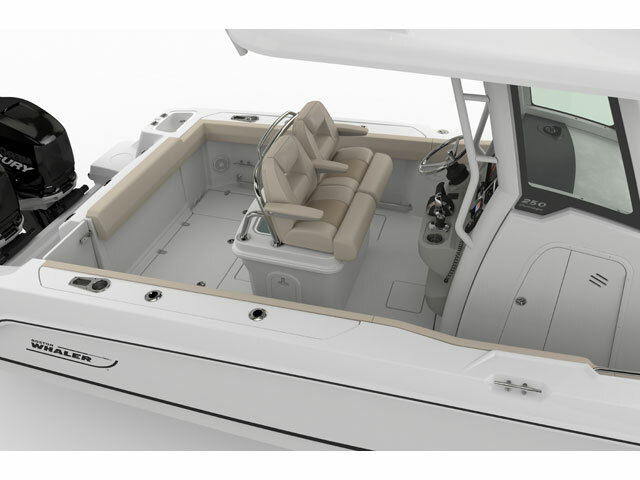 Yacht owners, count on the unsinkable performance and sleek style that make the new 250 superior as a tender as well.